For job seekers, onboarding may be nothing more than paperwork and processes. The formality required when starting a new job. It usually involves reviewing the employee handbook, policies and procedures, benefit plan options and other new hire items. But today’s savvy employers, HR professionals and small business owners understand onboarding is much more than pushing paperwork. It’s a “process that helps you to develop a happy contributor,” says Val McDonough in an article titled What is Onboarding Exactly? But, as staffing firm Robert Half points out, the employee onboarding process goes beyond mere practicality and acknowledges that what new employees learn in their first few weeks has long-term effects on their ability to tackle the challenges of today’s faster-paced business environment. A strong onboarding program covers matters related to training, scheduled milestones, mentoring programs and interactive meetings. Make sure that the person is given a tour, including where to get supplies and assistance. In addition to mandated orientation sessions, make sure that the new employee is encouraged to register for one optional professional development forum, early on. This could be something offered in-house or outside of the company’s auspices. Get the person’s birthday (not the year, just the day of the year) onto the social office calendar as soon as possible. Make sure to invite the employee to the first birthday observance of a staff member. Recognize the “new employee” in the company newsletter. Also, have one or two staffers who are active on LinkedIn post a welcome note to that effect on their status update. Welcome the person in a press release on the company website and to external media outlets that post that type of thing. Every employee needs and deserves a strong onboarding process where they learn the big “R” and little “r” rules of the organization, says Shirley Weis, the former Chief Administrative Officer for Mayo Clinic, where her work involved overseeing 60,000 employees and $9 billion in revenues. Weis recently published the book Playing to Win in Business, an Amazon bestseller. Provide details about policies and procedures in handouts, on data sticks or other media that the new employee can reference as they need the information in the future. These are the Big “R” rules. Spend precious face-to-face time with new employees discussing the culture and values of the organization – the little”r” rules. Tell stories about the heroes of the organization – those that epitomize the customer service orientation, those that have demonstrated their commitment to go above and beyond in their jobs. Provide a trusted “buddy” or mentor. 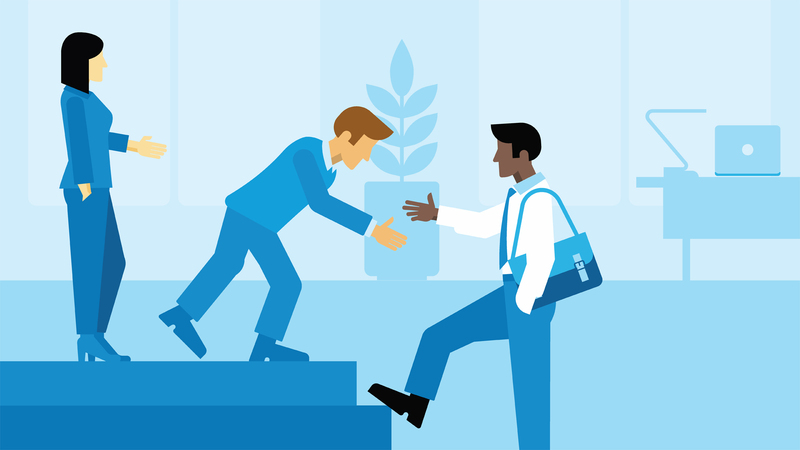 Check in with the new employee regularly to be sure they are receiving appropriate support, encouragement and mentoring. Make sure that the newcomer knows whom to call – and how – for questions and emergencies. A key part of the employee onboarding process is early follow-up. Leaders or supervising managers should meet with employees at predetermined points: Two weeks after the first day on the job, a month after, two months or at intervals that work best for each job’s complexity and changeability. These times are when you check in with new team members to find out how things are going for them. How well do they understand the business and their roles? Do they have any questions that have not been answered? Inquire especially as to the value of training programs. Are they helpful? Do they address the right areas? Are they worth the time being spent on them? What future developmental experiences would employees like to see? These follow-up meetings are also a good time to hear their assessment of the employee onboarding process thus far. Onboarding is much more than implementing processes and procedures and pushing paperwork. It’s a way to get your employees off to a good start. The more welcome and comfortable they feel, the more they can get down to doing the job they were hired for. That can lead to success, happiness and ultimately, retention.